Crowds of local were stunned on the giant squid spread across with 8ft long in size. The white marine creature caught their attention as this is the first time, them to witness right in their very eyes. 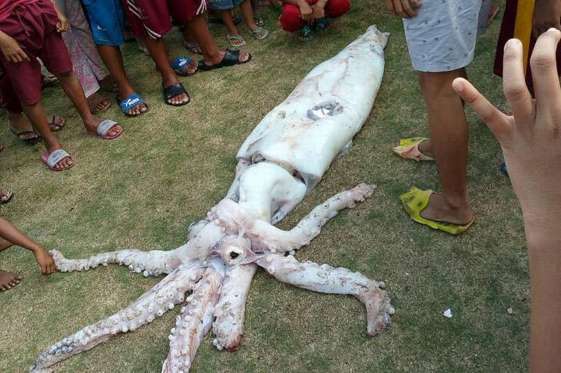 It is believed to be the biggest squid the remote island region of Tawi-tawi, Philippines, has ever seen. The squid was very healthy, cleaned, bright and white. Believe that they travel with the family so might be, there are still in the ocean same as sized or even larger swims.